Guests not in a group now have the option of the guided tours offered Monday through Sunday. Guided tours truly enhance your experience at the mission. Our interpretive guide does a wonderful job of hosting you through the 10 acres of museum rooms, exhibits, gardens, fountains and more. Guides also provide you with the details of California’s early history and the birthplace of Orange County. The guided tour covers highlights of the Mission and does not expand the entire site. There will be no guided tour at 11:15 a.m. on Friday, April 12, 2019. We apologize for any inconvenience. 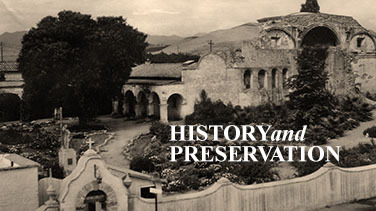 Docent guided tours truly enhance your experience at the mission. Our docents do a wonderful job of hosting you through the 10 acres of museum rooms, exhibits, gardens, fountains and more. 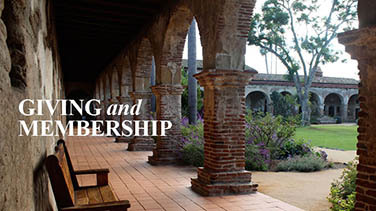 They also provide you with the details of California’s early history and the birthplace of Orange County. Docent guided tours are available on a daily basis for groups of 15 people or more. Availability is limited, so please call today to book yours and receive a discount on your group admission tickets. Size: Groups of 15 people or more. Advanced reservations and deposits are required. A self-guided tour now includes an audio tour option for all adult tours! 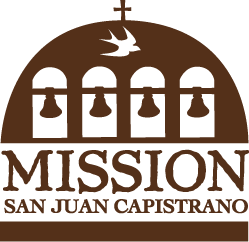 You have the freedom to tour the Mission on your own with or without the audio tour. The advantage of booking a self-guided group tour is a discount to adult admission, a cost savings of up to $2 per person.